Get ready to move out of the grandstand and onto the grid-iron! 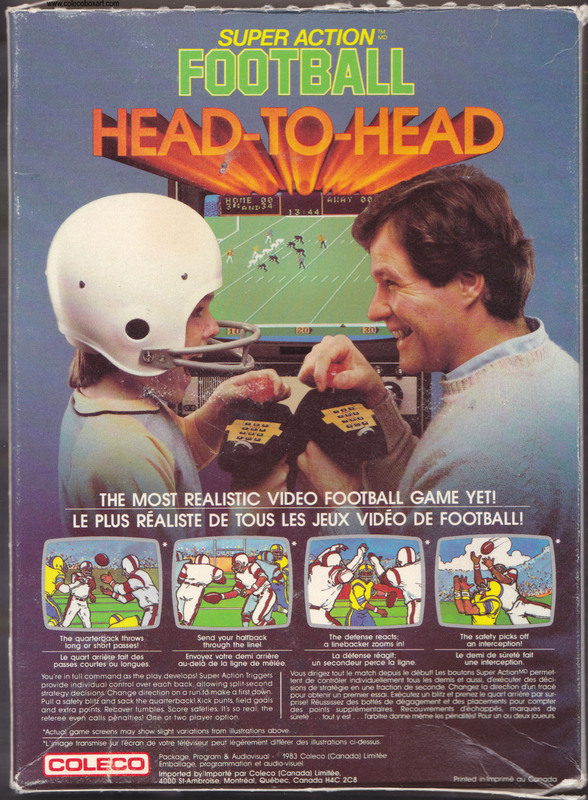 Coleco's SUPER ACTION FOOTBALL brings the thrill and excitement of professional football right into your home. A team of highly skilled athletes is at your command from the opening kickoff through the final seconds of play. 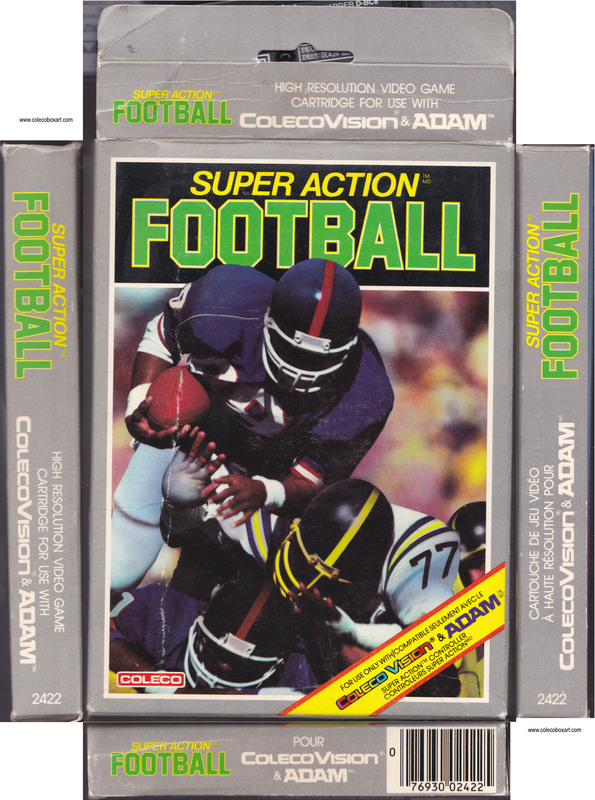 There is another title called "Super Action Football" which is a game of soccer. The term soccer originated in England. It's an abbreviation of the word "association" as this sport is Association Football. Within the English-speaking world, association football is now usually called football in the United Kingdom, and mainly soccer in Canada and the United States. Other countries, such as Australia and New Zealand, may use either or both terms. 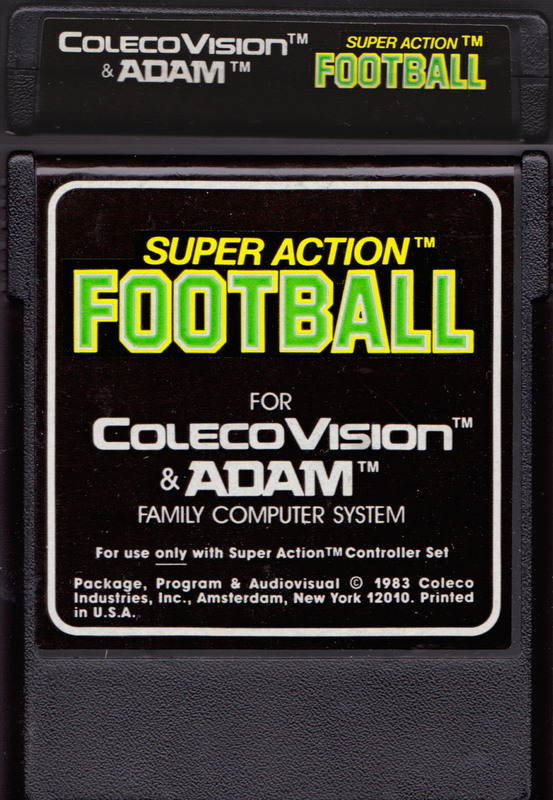 Super Action Football and Super Action Baseball were programmed in 1982 but Coleco has waited for the Super Action controllers. The games were ready and made use of the spins present on the ColecoVision controller prototypes.